Frustrated by your oily skin? Anxious to get rid of the pimples, blemishes, and the shine marring your face? What you need is a lesson in oily skin care. Overactive sebaceous glands in the body lead to oily skin. These glands secrete a substance named sebum, whose function is to naturally lubricate your skin. But when sebum is produced in excessive quantities, it turns thick and heavy in texture, causing your skin to appear oily. Oily skin is advantageous in one way in that it is less prone to wrinkling and other aging signs. But if you don’t take enough care to remove the excess sebum, it leads to the formation of clogged pores and blackheads. Also, dead skin cells accumulate on the skin surface, making it appear sallow and rough textured. Now it becomes obvious that the excess sebum results in many worrisome pimples. This condition must be tackled by gently washing away the dead cells, dirt, and oil without scrubbing too hard, as vigorous scrubbing irritates the skin further, leading to the secretion of more oil! You need to be firm, but gentle in treating your oily skin. Wash your face with hot water as it is more efficient in dissolving oil as compared to cold water. Also, choosing the right cleanser can make all the difference. It is not okay to simply visit the supermarket and grab the nearest cleanser within reach. A little analysis and knowledge of the cleanser’s composition will go a long way in helping you pick the right one. When it comes to oily skin care, cleansing products that have been formulated with moisturizers are a strict no-no. Go for products designed especially for oily skin, although such products tend to be slightly expensive. 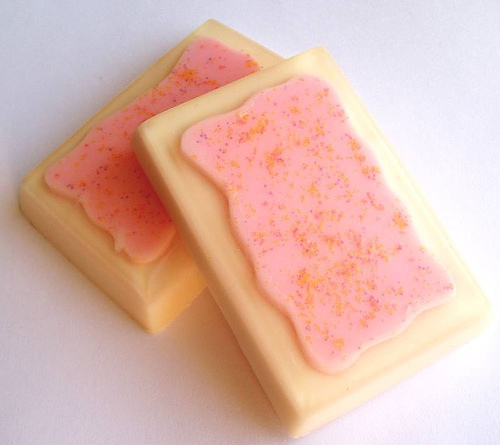 If you’re suffering from pimples, then the right soap would be an antibacterial soap which has benzoyl peroxide or triclosan as constituents, as they work to prevent the growth of the bacteria responsible for acne. Coming to face washes, prefer the ones containing alpha-hydroxy acids (AHAs), such as lactic acid, glycolic acid, or citric acid. These can effectively reduce oil in the pores, slough off dead cells, and prevent infection. Add antibacterial soap to your oily skin care routine to fight acne. Toners help tighten the pores on your skin, and the right choice here would help enhance your complexion. Natural toners can be made of witch hazel, or herbs such as yarrow sage, peppermint, and hyssop. Further, a lavender and neroli essential oil combination serves the purpose of a wonderful skin cleanser and toner, ideal for oily skin care. This is an important routine, as taking away all the dead cells can be highly beneficial to you skin. One natural homemade recipe to massage your face is a fine grain powder made of oats and moistened with some hazel. You can also use buttermilk to massage your face, as the acids present in it cleanse your skin and tighten its pores. Grease-cutting face masks are an important ritual in oily skin care. A clay mask or mud mask reduces greasiness and tones your skin. Mix some egg white, honey, and flour to form a paste, and apply this mixture on your face to soak up excess oil. 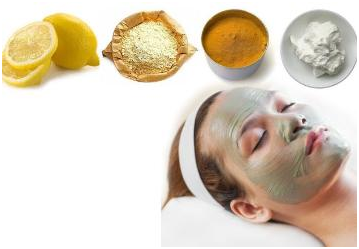 Lemon juice is a good astringent that can be added to your facial mask. Grease-cutting masks are used in skincare for oily skin. Use loose powder for oily skin instead of pressed powder, as the latter contains oil and may worsen your skin condition by causing pimples and blemishes. Alcohol-saturated wipes available at the drugstore can help your keep your skin oil-free temporarily. Keep them in hand when you are going out. Although oily skin can keep you looking younger, it can also cause unsightly pimples and blemishes that can bring about a dip in your confidence – so ensure that you follow your oily skin care routine rigidly, as this will leave you looking beautiful and feeling good about yourself! This entry was posted in Wellness and tagged skin care for oily skin, skincare for oily skin by Zipheal Editorial Staff. Bookmark the permalink.